Udemy is an online course distribution service. Customers purchase published courses from the list of available titles. This allows them to access the current content and to receive all future upgrades to the course free of charge. This site has managed to attract many content authors who have published many different courses. In a short period, Udemy has become one of the most prominent electronic course web sites. Course authors produce videos, primarily, and other supporting materials. Various video formats are supported although 16:9 format, and HD, are preferred. Documents are typically PDF types although text and other types are accepted as well. Each course must be comprised primarily of videos but other informational items, and quizzes, are recommended as well. The site markets most courses on behalf of authors. Customers pay a fee for courses which is set by the author. The payment is processed by the site which keeps a percentage for overhead. The balance is paid to the author. If a course is deemed to be of lower quality, it will not be marketed by the site but will be available for purchase through the author's social channels. Authors are paid based on student purchases. The price can be set as desired. Typically, longer, more complicated material is priced higher. There are several marketing arrangements for prices, however. The site will frequently offer sales. Authors can choose to have their work included in the sale offering. This might give customers a substantial bonus, resulting in a lower payment to the author. More courses can be sold which can boost the author's importance to students. There are over 5 million registered students located in 190 countries around the world. The site has paid more than $10 million to over 12,000 authors for course delivery. Many authors make a substantial amount of money each month, averaging $7,000 each. As a content producer, authors should publish video and written material on Udemy. The process is very easy. High quality video production is required. This can be done with any of a number of tools that have the ability to produce HD formats. 720p is quite acceptable. Most videos should be narrated with a polished voice track. To produce the videos, quality tools such as Camtasia or Explaindio can be used. Explaindio is a lower price. The less flexible, but free, application Windows Movie Maker may be used by some authors. Videos can be produced with a screen capture utility. This is a great approach for software demonstration videos. Number one best selling computer microphone. Each course must include a good quality graphical image. This must not contain any text, a restriction that has recently been imposed. The image can be produced by the author, obtained from a service such as Fiverr, or generated by the site staff. If the last option is chosen, be advised that the process will take some time, perhaps a week. The quality of the video is often enhanced with excellent audio. Authors should make their audio narrative track of high quality. A good microphone and quiet recording environment is very useful. 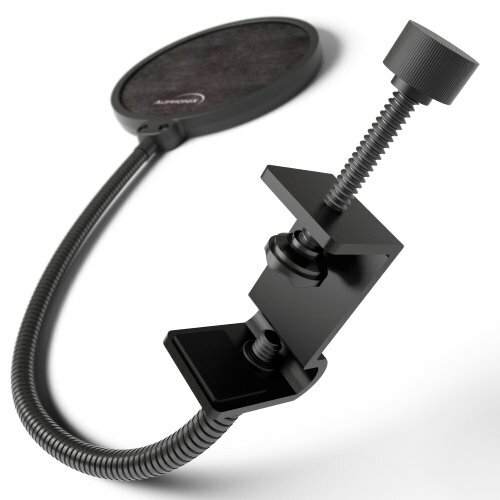 Good microphones can be purchased for less than $100. Look for a unit that gets good owner reviews and which is directional. This allows it to ignore most background sounds. Background noise can be removed with an audio editor but keeping the recording clean will save course development time. The free sound edit application, Audacity, is excellent for voice tracks. It provides several editing capabilities for sound tracks. The length of clips can be adjusted. Background noise can be removed. Clicks and other bad recording features can be eliminated. Levels of sound can be normalized to eliminate volume issues. Audacity is excellent for most all types of audio clip editing. Each course provides an extensive number of engagement statistics to authors. The enrolled students are listed along with the number of modules completed by each. This can show instructors how well the material is being consumed. The students are known to the instructor by their Udemy names and their email addresses are not given. Instructors can, however, send promotional messages to students. These are monitored by the site administrators but can provide marketing messages to students. There is quite a low limit to the number of promotional messages that an instructor can deliver to their students. A major benefit for instructors is that the material published on does not have to be exclusive. Videos and other materials may be published elsewhere. This lets you earn additional revenue for the same work. Publishing could be on other course sites or on personal web sites. Instructors should be careful to ensure that they do not compete with themselves. This is usually not an issue however. Be sure to check whether the non-exclusive publishing clause applies to the other course site as well. This site is great way for authors to earn passive income while they work at home. Materials for the site can be created anywhere. Authors should be sure to promote their courses on their normal social media channels. Issuing press releases, Internet articles and blog posts can be helpful. The site will generate marketing materials for authors but this can be enhanced through personal means as well. As mentioned, the average author payout is some $7,000. While this value is real, many authors do not make near this amount. Several make more. As usual, the amount you can make depends on several factors. If you material is more in demand, you stand to make more money. If your work is well done, you can make more money. Quality work also tends to suffer fewer refunds. Authors are encouraged to publish multiple titles. These can be in different topic areas or they can be different aspects of similar topics. A good approach is to establish an introductory course for the topic and a more advanced one as well. If there is enough material, an intermediate course is a good idea as well.